Call us now on 01536 206004 or Contact Us Now to find out more about Integral Blinds and Sealed Units. Our sealed units are ideal in conservatories but then are invaluable in commercial premises. They are ideal for any settings where low maintenance and hygiene are priorities. 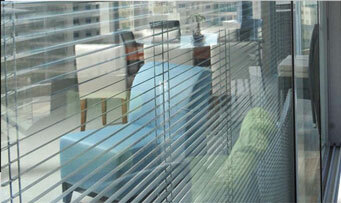 Because out blinds are sealed units they are permanently dust free and protected against accidental damage. This means that you can have the delights of blinds without extra cleaning and maintenance chores.. The blinds are opened, closed and tilted using innovative but simple rotational magnets. Therefore the units are kept hermetically sealed, are easy to use and virtually impossible to break.